Mod Podge Antique Matte 8oz. 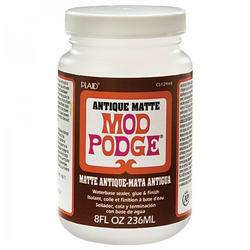 PLAID Mod Podge Antique Matte 8oz. is a water based Sealer, Glue and Finish which can be used on a number of surfaces and crafting projects including MDF. As a glue it dries clear and holds tight. As a sealer it protects paints, stain and decoupage. It is non toxic and non flammable. Its built in tint provides an antique finish to your Decoupage project! We make available for our clients a top-of-the-line range of Heat Sink Compound TC 5080 . These are used for improving the thermal connection between the machines and heat sink. Our product is known to be a special type of chemical that greatly improves heat transfer as well as the cooling of the processor. FS703 provides up to 4 hours fire protection at internal and external building gaps and movement joints. No.6800 Series are high-function foam sealing materials consisting of EPDM rubber foam with a closed cell structure offering the best durability and weather resistance of all general purpose rubber. 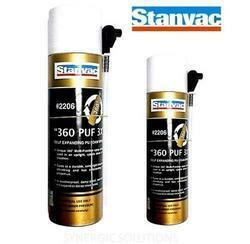 No.6800 Series include tape materials coated with butyl adhesive and synthetic resin adhesive. You can select the type that best meets your needs.